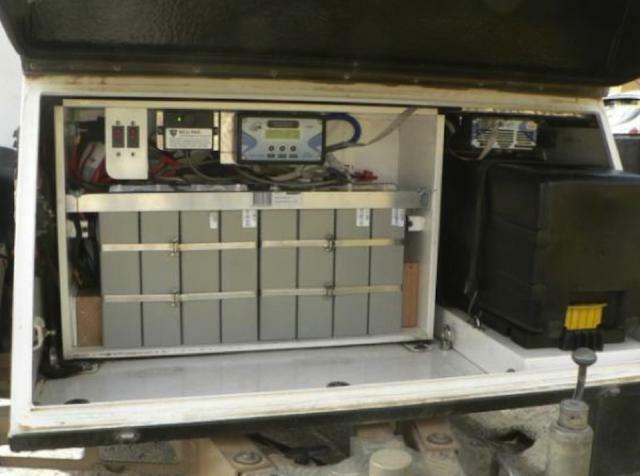 Attached a couple of scholarly blogs on using Lithium batteries in Kimberley Karavans courtesy of Frank Paterson. 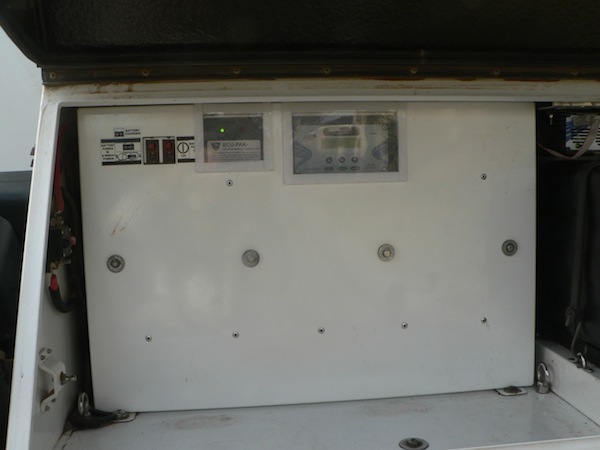 Frank has done a particularly fine job of installing 360Ah total of LiFePO4 which is the functional equivalent of almost 600AH of lead acid batteries. Some People Claim that Lithium Batteries don’t need a BMS (Battery Management System). For us it’s a question of safety first. It is important to inform customers of the potential risks. Most times it is true that Lithium batteries will stay relatively balanced for a period without any external balancing or monitoring. However there are some potential risks. Lets have a look at some “what if?” scenarios in a 12V (4 cell) battery. Remember that the upper safety limit for a LiFePO4 cell is 4.2V. What if the battery does become unbalanced due to aging or cell IR (internal resistance) differences? In the worst case this would mean a pack charged to 14.6V could have three cells at 3.3V and one cell at 4.7V. This high cell would swell, heat up, vent and potentially burst with flames. What if a car or boat alternator voltage regulator malfunctions or is maladjusted and overcharges the battery? An alternator can produce up to 300VDC if unregulated. If any LFP battery with no BMS checking the upper cell voltage limit was subjected to this it could fail catastrophically. What if the battery is accidentally over-discharged? There can be varying degrees of this. Many times the battery can be recovered if treated properly. However if one or more cells goes to zero volts for a period or is reverse polarized by discharge currents for even a few seconds then the battery will be permanently damaged and become unbalanced. A subsequent recharge carries a significant risk of catastrophic failure. What if one cell fails and falls to zero volts? 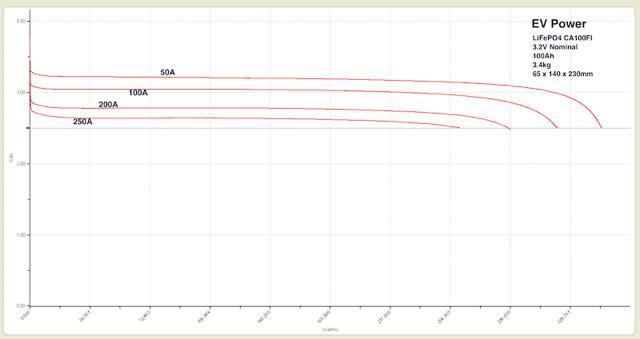 This is a very rare but normal failure mode for Lithium cells. In this case the cell most often forms an internal short circuit. So if there are 4 x 3.2V cells in a 12V pack the peak charge voltage would normally be 14.4-14.6V. So 14.4 / 3 = 4.8V per remaining cell. At this voltage the remaining cells would swell, heat up, vent flammable gas, and potentially burst and catch fire. The larger the cell capacity the larger the risk of damage from a catastrophic failure. The more cells connected in series the greater the risk of unbalance and failure. 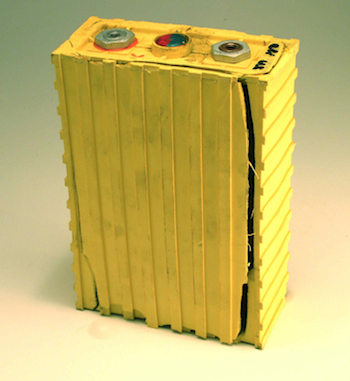 Batteries comprised of series strings of cells connected in parallel present a much greater risk of catastrophic failure. The larger the charge and discharge currents the larger the possibility of variable internal resistances causing unbalance. Internal resistance creates heat during both charge and discharge so the highest IR cell will lose capacity first. If a LFP battery is over-discharged it can become unbalanced and unstable unless correctly recovered, preferably using the correct charger for the purpose. 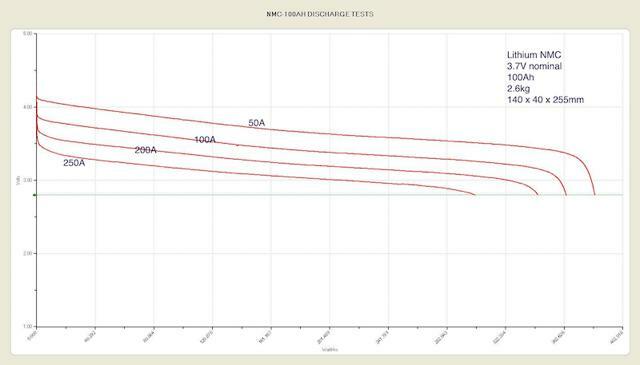 Using an intelligent Lithium dedicated charger with a deep discharge recovery charge curve is much safer than using a regular SLA charger. We have a smashed safety glass window in our workshop to prove that LiFePO4 Lithium batteries can explode and catch fire if overcharged. Or more importantly over-discharged and then recharged without checking for a dead cell. We know of at least one other vendor that has had a similar experience. Also there are many examples of battery fires where no BMS was used or where an improperly designed BMS was inactive or failed. We do our absolute best to minimize the risk of battery failure for our customers. On larger battery packs we advocate the use of our Australian made BMS. Smaller packs are safer but also benefit from over-discharge protection. A Battery Management System (BMS) performs two functions. The first function extends the battery life. The second works to prevent catastophic failure. No system is perfect but it is better to be annoyed by a system dropout that be alarmed by a dramatic failure. 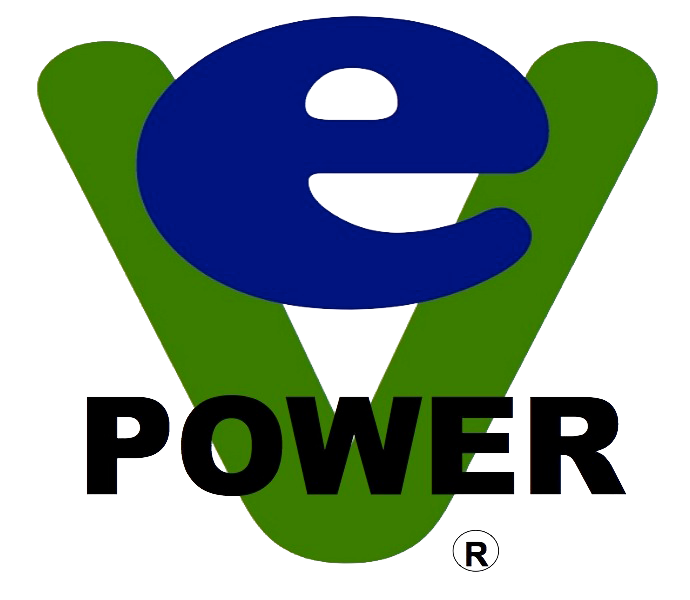 All EV Power Pak batteries include a cell level balancing and monitoring BMS. Many other vendors do the same. We will sell you the cells. You don’t have to use BMS but it is our duty to explain the risks involved if you don’t. Q: How much do Lithium LFP batteries cost? A: The price is about double that of quality Lead Acid batteries. However Lithium batteries have many times the discharge cycle life of Lead Acid. They will also deliver almost their entire amp hour capacity at high rates of discharge. This makes the total cost of ownership for Lithium cells lower than Lead Acid. Q: How does the capacity of a Lithium Battery relate to Lead Acid. A: A Lithium LFP battery can be about 60% of the capacity of a Lead Acid battery and still deliver a similar amount of energy. This is because Lithium batteries can be routinely discharged to a deeper level than Lead Acid without damage. They are also more efficient at returning the stored energy. A: They should last at least 2000 cycles at 70% depth of discharge (DOD). However much depends on how they are treated. A battery management system (BMS) is important. Rapid improvements are being made constantly. A: No they are completely maintenance free for their entire life. Q: Lithium Ion Batteries can explode and catch fire can’t they? A: Under normal circumstances with a good BMS no. However if ruptured of incorrectly discharged and charged the cells can die an early death and may catch fire because of the organic electrolyte. The LFP series are much safer then Lithium-Cobalt and Lithium-Manganese batteries. Q: You also supply 12V batteries. Do they require a BMS? A: The 12V series are actually 4 LFP cells in one package. They do not have any management. For systems of more than 12V nominal individual cell management is recommended. Q: Can the cells be mounted in any position? A: Yes, there is no evidence of cell degradation if mounted on their side. Q: My batteriies have run flat and I cannot recharge them? A: This is a very bad situation! The only chance to resurrect them is to use a very small trickle current to get each cell back up to 3.2V. Then they can be recharged normally. Most likely they will be permanently damaged and require replacment. DO NOT ALLOW LITHIUM BATTERIES TO RUN FLAT.